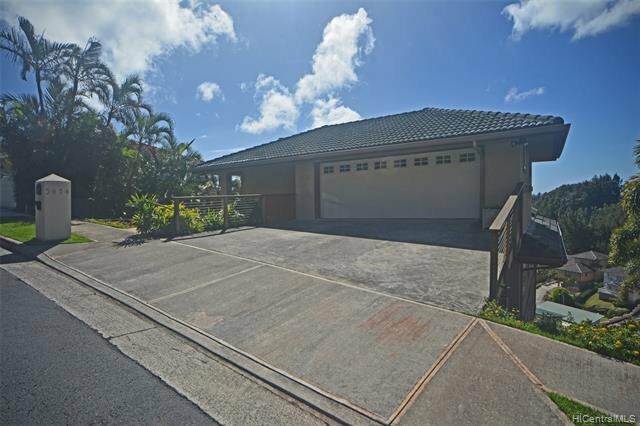 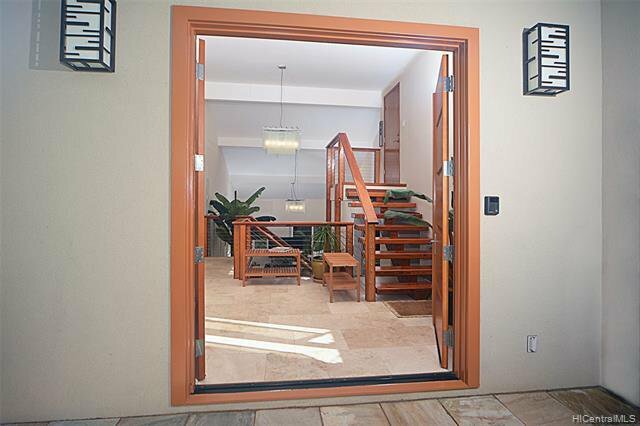 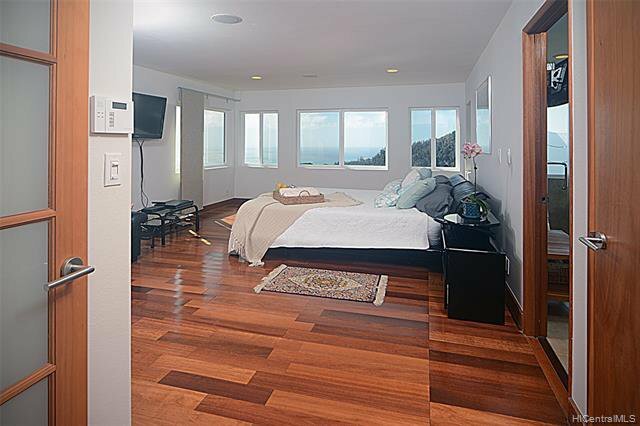 5414 Kuaola Street, Honolulu, 96821 MLS# 201903379 Hawaii for sale - Hawaii Realty Intl. 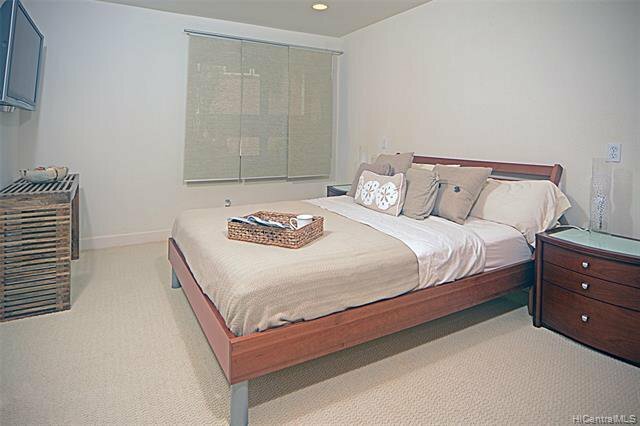 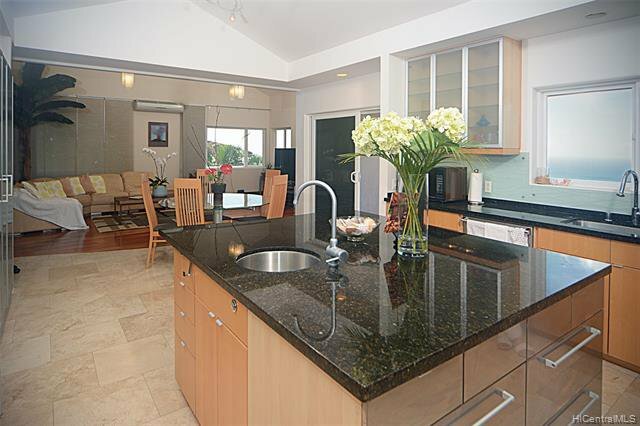 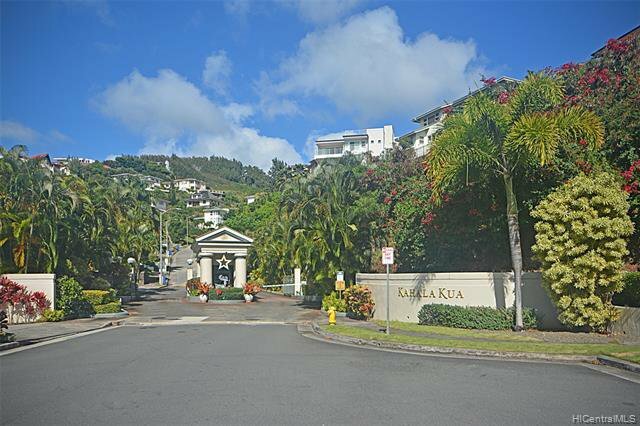 This 3/3 Executive residence located in the prestigious gated community of Kahala Kua. 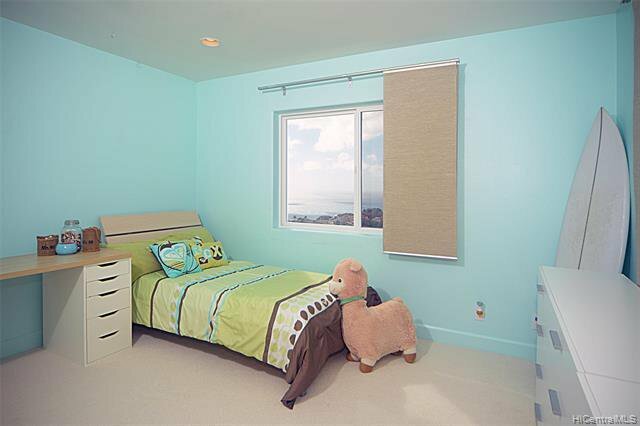 It was featured in Parade of Home. 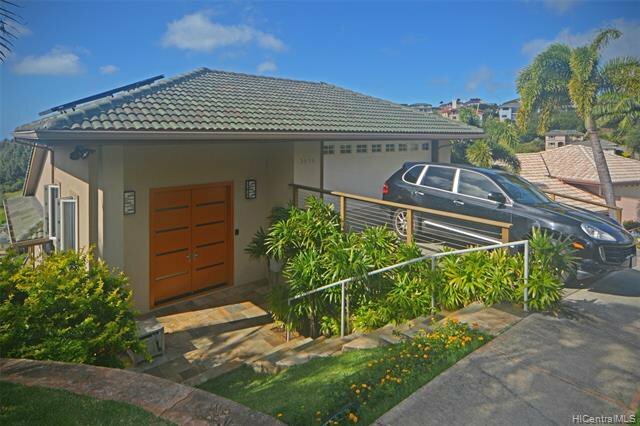 It sits on 13394 sq.ft. 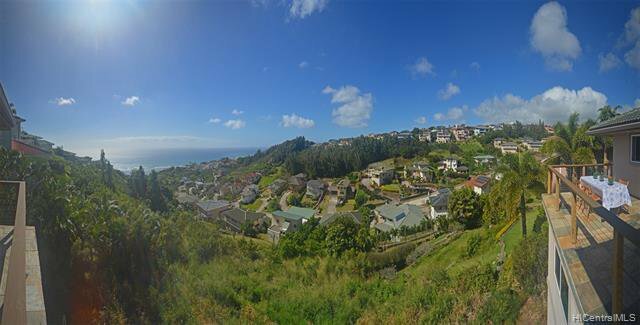 land with a stunning ocean view. 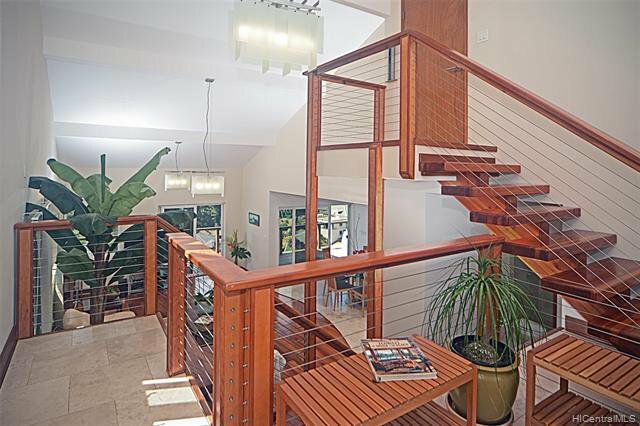 Front entrance opens up to a foyer with vaulted ceiling, then custom solid wood floating stairs leads to the Great Room with solid Kempas wood and Travertine throughout. 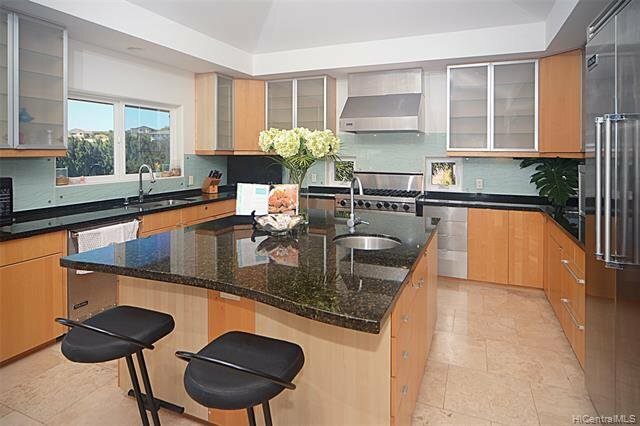 Chef's delight kitchen with Viking appliances, oversized island and large pantry/storage! 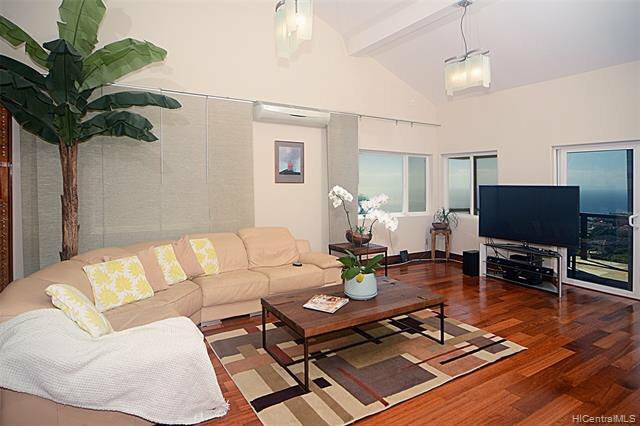 The Living room extends to approx. 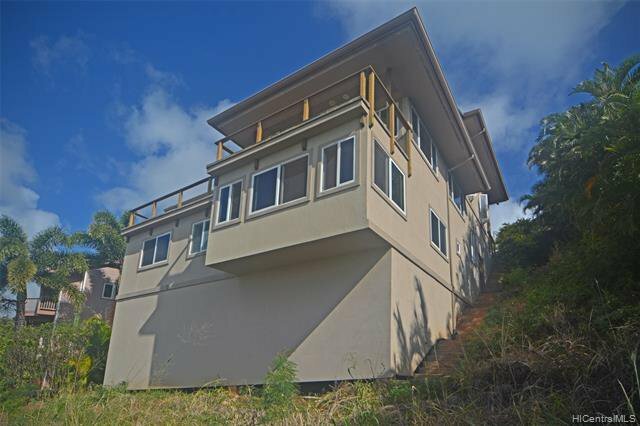 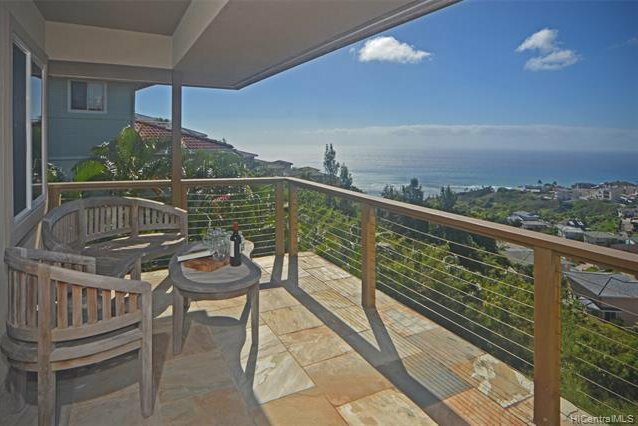 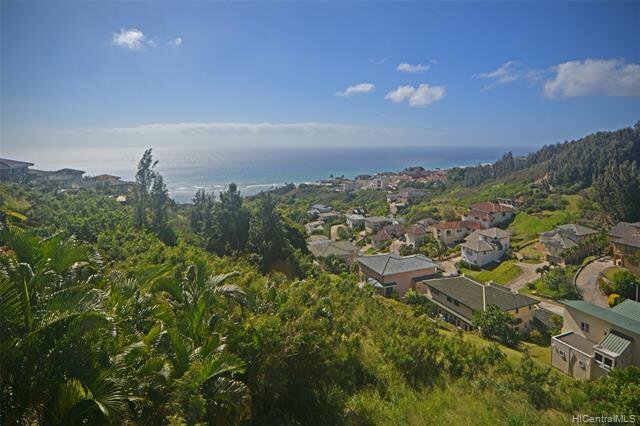 360 sq.ft lanai with the panoramic ocean view which is the perfect entertaining place. 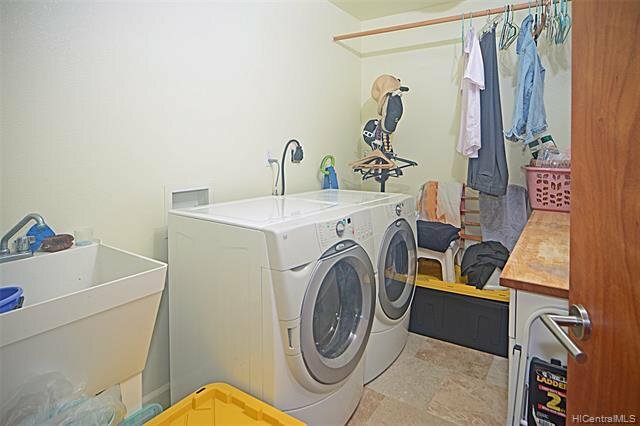 There's a ginormous theater/family room; Central Vac with auto dustpan. 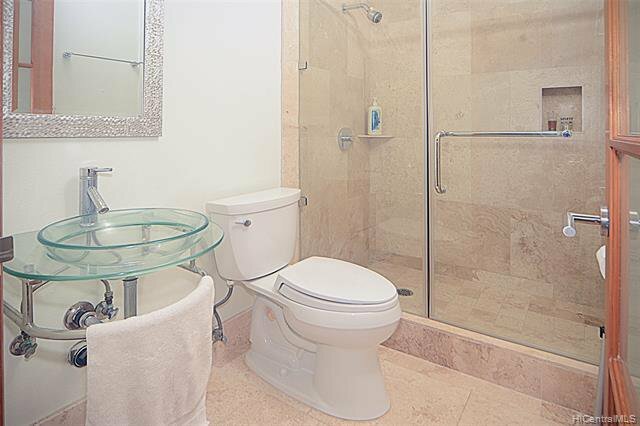 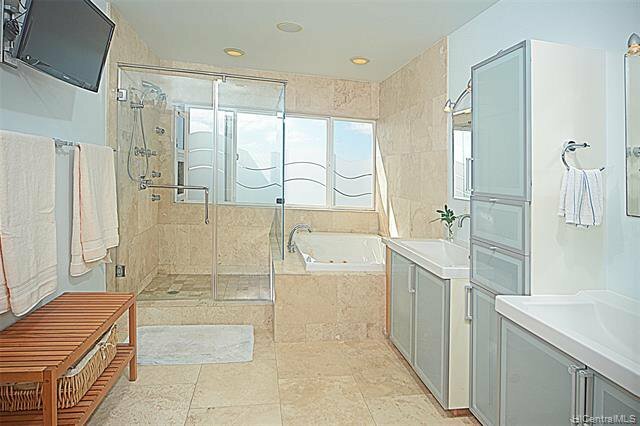 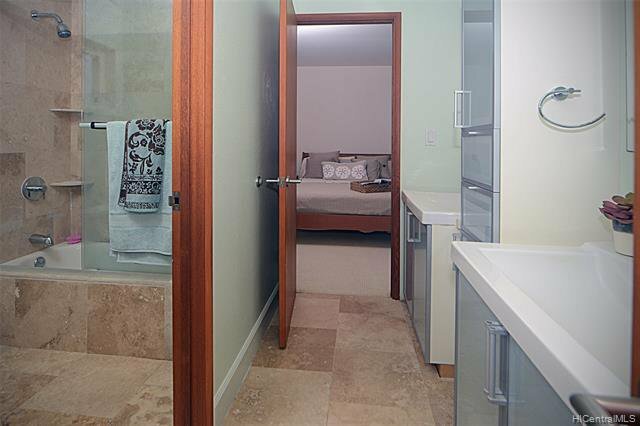 Master bedroom has a demanding view of the ocean, luxurious bathroom with Jacuzzi tub and walk-in shower in Travertine, and a custom walk-in closet. 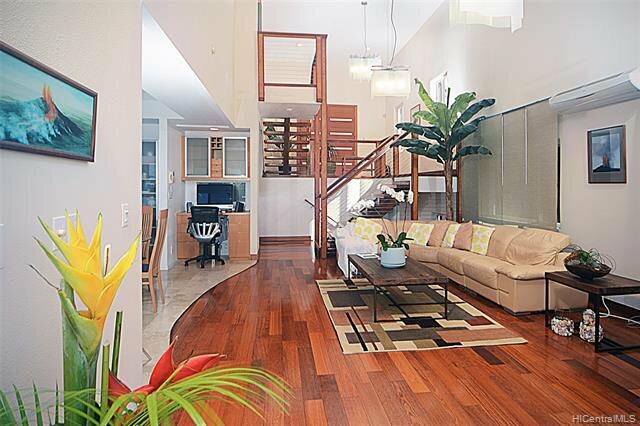 Great sound system throughout. 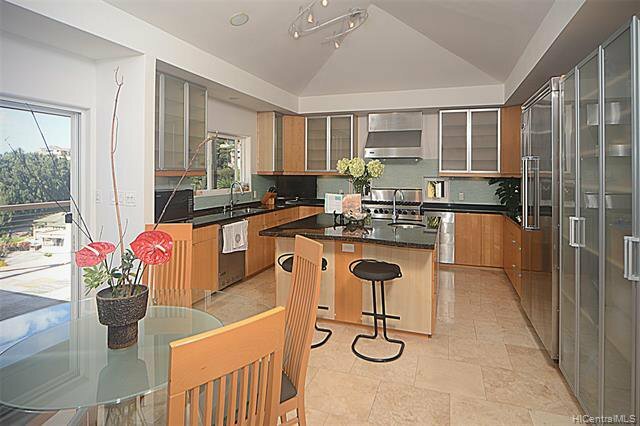 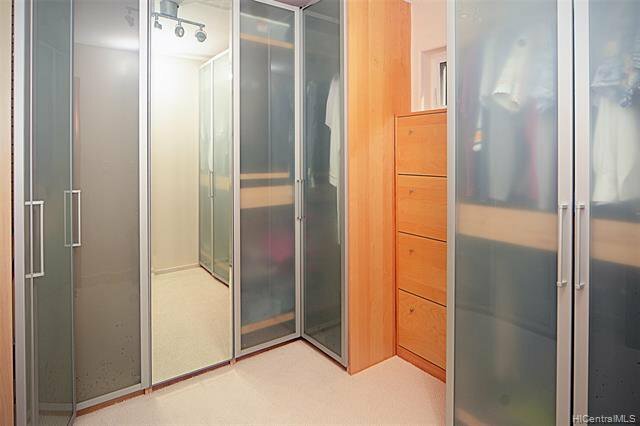 This beautiful home has so much to offer to your discriminated clients. 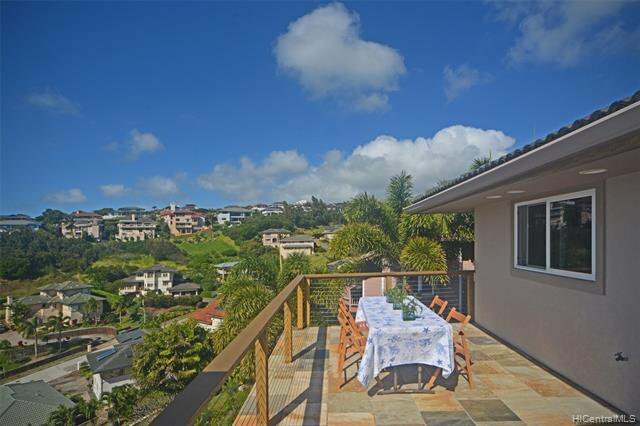 Being sold "AS IS"
Listing courtesy of Hawaii Life. 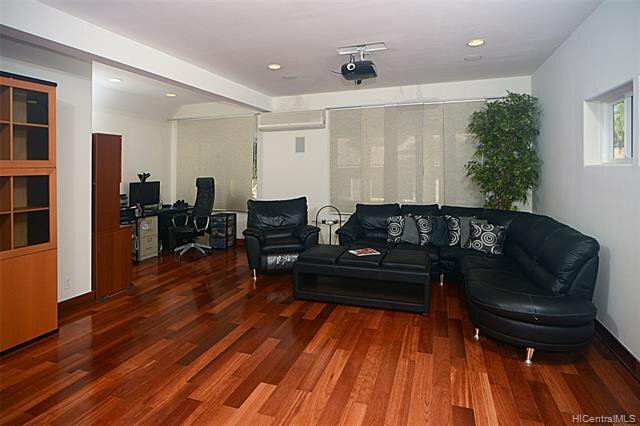 Selling Office: List Sotheby's Int'l Realty.